Birmingham, Essex, West Midlands, Warwickshire, Derbyshire and all areas of the UK. From being a small boy I always wanted to be a pianist and that love for the piano has never diminished. I provide entertainment for all different kinds of events including private parties, product launches, store openings, dinner parties and corporate events. However, providing music for weddings is the main reason that people hire me, and I must say that this is something that I really enjoy. I always feel honored to be a part of a couples special day. Playing for weddings involves me doing quite a lot of traveling throughout the country. This is mostly around Birmingham, West Midlands, Warwickshire, Yorkshire, Derbyshire and Essex. Pianists often prefer to stay close to home, but I enjoy the opportunity to see places of interest and new venues. 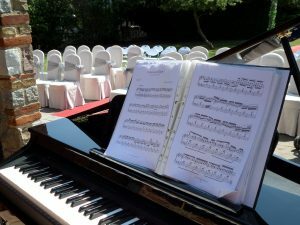 As a wedding pianist I have to be able to play many styles and genres of music. I also have to be able to cope with any requests that a couple may have. 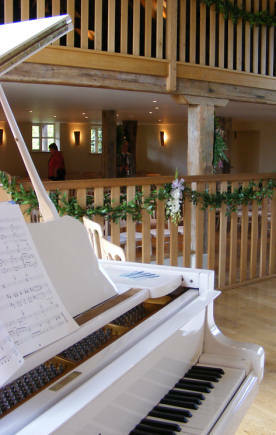 Having a large and varied repertoire enables me to provide music for every part of the wedding day. I was classically trained and I have quite an extensive repertoire of classical music which is often preferred for wedding ceremonies. I also play rock, Latin, pop, blues, and even singalong. Playing all these different styles means that I can cover every part of the wedding day including: ceremony, drinks reception, the meal and the evening reception. 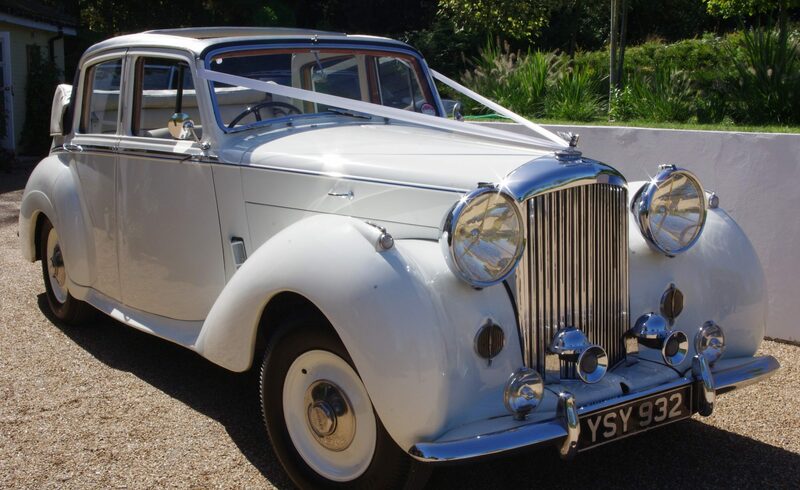 As an example I could play classical for the ceremony, jazz and swing for the drinks reception, mellow pop and rock ballads for the wedding breakfast followed by jazz and more contemporary music for the evening reception and a good old sing-along to finish the evening off. 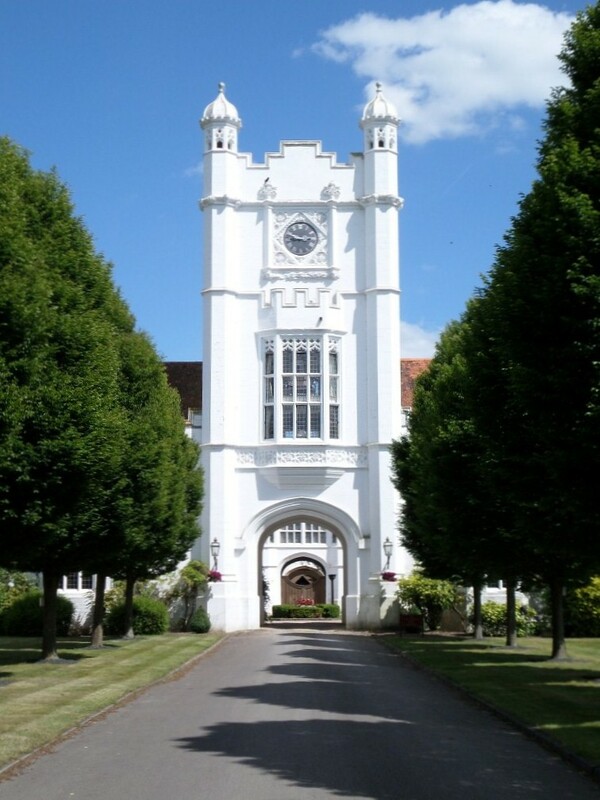 To find out more about the different parts of your big day please visit the wedding page. 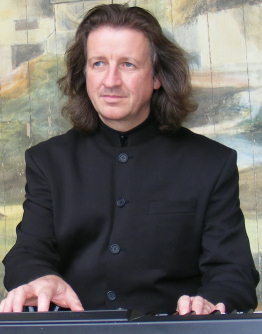 My varied repertoire also helps when I play the piano for private parties and corporate events. My music has provided a backdrop for many different kinds of functions and themed parties. I really love being a solo pianist, but I also love creating music with other musicians. I have performed with many different line-ups and I can provide a range of these for different types of event. These line-ups range from duos with male or female vocals, up to a five piece jazz band. This range allows me to find a line-up that will match both your budget and available space at the venue. I have three digital pianos that can be put in different parts of the venue. A baby grand piano shell can be hired at an additional cost. I can provide recorded background music. I haveradio microphone which can be used for speeches. I can provide the use of a PA system so that you can run your own mobile disco from a laptop, ipad, ipod or similar. If you need anything that isn’t listed above then please contact me and I’ll see what I can do.